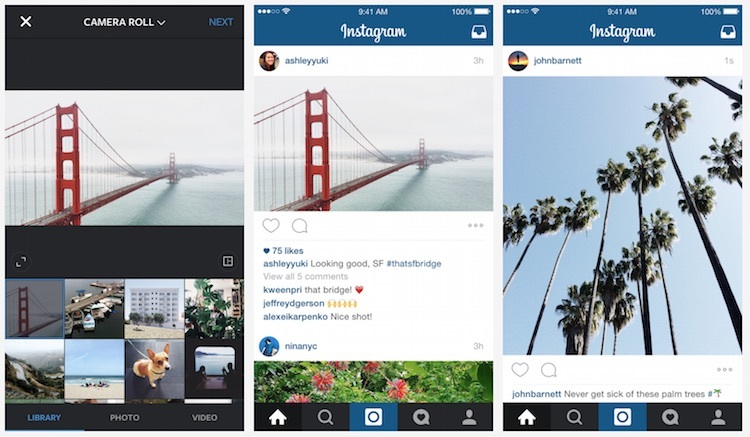 Instagram has finally updated its iOS and Android apps to support landscape and portrait pictures and videos. For those who still prefers square, the option is still available too. Available immediately, just give your Instagram app an update, and you will see that you can now share landscape or portrait photos and videos. When you select a photo from your gallery with the updated app, you will see a new button on the bottom left corner on the preview picture. Tap on that and you can toggle between landscape/portrait or square. You still can’t use full-sized images, meaning that if your image is too tall or wide, parts of it will still get cropped out, but hey, at least you can fit more people into a picture now, or show off just how tall the tree is. The update is also available for videos on Instagram, which can give you a more cinematic view. Finally, the update also allows you to use all filters for pictures and for videos. You can also adjust the intensity of filters on videos too; filters for photos and videos were previously separated. Check out Instagram’s blog for more information.